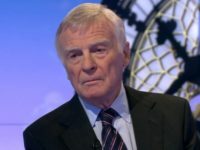 A “24/7 culture” of news is one of the main issues affecting journalists’ mental health, according to Mail on Sunday columnist Dr Ellie Cannon. 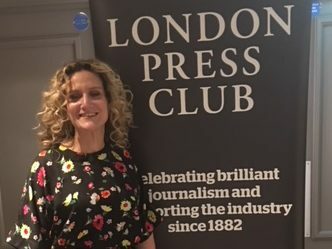 Dr Cannon, who also regularly features on Sky News, spoke at a London Press Club event about stress and mental health in the workplace on Monday. In conversation with BBC news presenter Samantha Simmonds, Dr Cannon emphasised how important it is to step back from the pressures of journalism. She said work related stress could be so acute that she had had patients in her surgery believing that they were having a heart attack, when it was in fact anxiety brought about from workplace pressures. Dr Cannon said exercise was one of the ways journalists can cope with stress. She said the answer was not always to go off sick, but to deal with the problem itself, warning that taking time off could “result in greater stress building up about returning to work”. In a panel with Sales Confidence founder James Ski and workplace well-being head at charity Mind, Faye McGuinness, leading figures were urged to speak out about their mental health problems. Doing so would give “enormous confidence to others and would break down barriers and attitudes” the audience heard. Upcoming London Press Club events include Do women have equal opportunities and pay in the media? chaired by columnist Anne McElvoy on Monday, February 19 from 6.30pm at Stationers Hall. Members of the London Press Club and the Society of Editors can attend for free, guest tickets cost £5. Book tickets here. 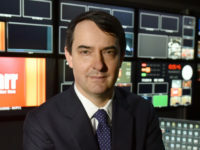 This year’s Hugh Cudlipp lecture will be given by former Times editor and BBC news director James Harding from 6.30pm on 21 March. The event is free to attend. Book tickets here. Dr. Cannon’s new book Is Your Job Making You Ill- How to Survive And Strive When It Happens To You is out now.